This year, International Women’s Day falls, as ever, on the 8th of March, and marks a celebration of the achievements of women all over the world, regardless of any perceived or actual divisions. The history of International Women’s Day dates right back to the early 1900s, as growing industrialisation, followed by WWI, saw an increase in women demanding their rights and an end to inequality. First officially honoured by a number of countries in 1911, the UN adopted the celebration in 1975, further advancing the movement. 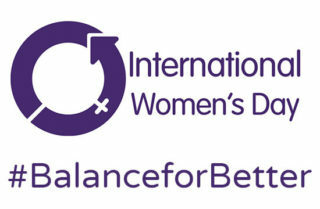 In more recent times, there has been a theme associated with IWD each year, with millions of people and organisations taking an active part in discussing and spreading its vital message. The theme for 2019 is #BalanceforBetter. This year’s theme affirms that a balanced world is a better world, and calls for a more gender-balanced society; one in which all people have equal rights and opportunities. IWD argues that gender balance is an essential ingredient in enabling communities and businesses to thrive and succeed, and that we all play a role in ensuring this balance is achieved. As founder and CEO of my own business and Steering Group Chair of the Corporate Council for Women in Commerce, this message of balance and celebration of female achievement is one which is close to my heart. I founded Today Translations in 2001 using my own savings. As the company has grown, I have met and worked with many inspiring women, all of whom have taught me something about balance and what it means to succeed, both in life and in business. Each of these women, whether colleagues, acquaintances, or friends, have shown me how many ways there are to be a woman, and have convinced me that the best workplaces and environments are those in which all genders are represented and given an opportunity to contribute and excel. This International Women’s Day, I wish to acknowledge and celebrate these women, who have populated and enriched my life and the lives of all those around them. Long may our collaboration and mutual learning continue!